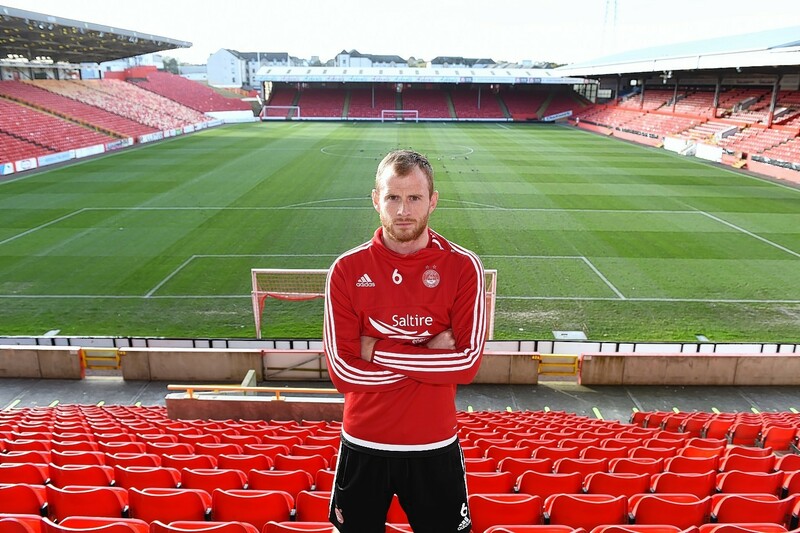 No one in the Aberdeen squad knows Hampden better than Mark Reynolds. As a boy, Reynolds would play on the pitch twice a week while his father Brian coached the Queen’s Park team. The stands may have been empty but a young Reynolds reveled in scoring countless goals at the national stadium. It will always be a special place for the Aberdeen defender, which is why he would dearly love to score one for real in this Sunday’s Betfred Cup final against Celtic. He said: “I was brought up in Hampden. “My Dad coached the first team alongside Eddie Hunter years ago. “He did that for about 10 to 12 years so I was well used to playing at Hampden, even though I probably wasn’t supposed to be on the pitch. “Eddie Hunter used to make the Queen’s Park players run the stairs at Hampden a good few times. “There is a lot of stairs at Hampden so they would be doing that for a while so I used to get a ball and knock it about with my brother on the park. “It will be nice to go back and score a few goals like I used to when I was a boy. “It was great to have that opportunity as a kid. You had the run of the place. “I would take my friends with me and they couldn’t believe they had the chance to run around Hampden. “But for me, that was every Tuesday and Thursday night. “However there is an added edge this weekend as you have earned the right to be on the park and you are playing for silverware. “That is what you want in your career. There are guys who never get a chance to play in a final during their career. “We have managed to do it once and we have seen how good it can be. This Sunday is likely to be Aberdeen’s biggest game of the season with Celtic strong favourites to win a first trophy under Brendan Rodgers. The Dons may need a slice of luck to help them overcome the odds this weekend – and Reynolds says some of the Aberdeen squad do all they can to ensure good fortune is on their side. He said: “I don’t have any superstitions but there are a few boys in the team who have. “As long as I have been training well going into a game then I am quite happy. “The worst one in the team is Adam Rooney. “He is that superstitious that I am not even allowed to tell you what he does. “He has hundreds of things he does for luck and it takes him forever to get through them.